The offer was first shared on NeoGAF by a user who, ironically enough, already owns an Xbox One. The credit is only rewarded after the new console is purchased, meaning you can’t use it to knock some money off the price of an Xbox One. 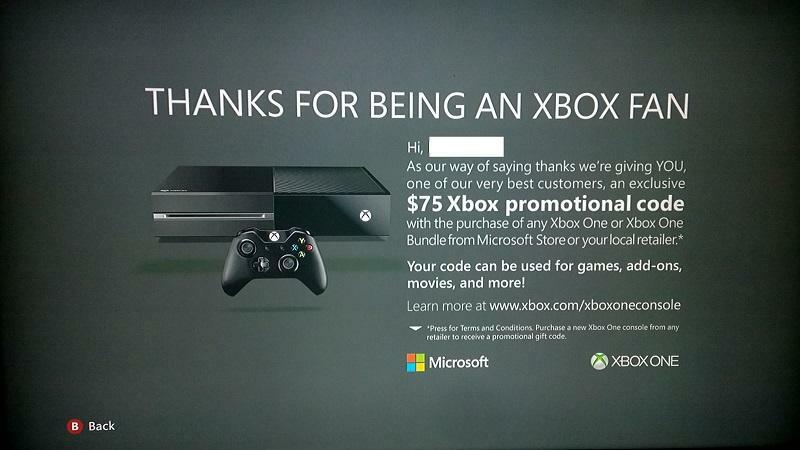 To get the reward, you’ve got to register a new console with the same Gamertag that you use on your Xbox 360, after which a promo code worth $75 is sent out. Act quickly if you get one of these offers, as it’s only good until the end of July. Furthermore, the $75 promo code must be used by October 14, and it must be spent within a year of being received.